How do I delete Clipchamp from my Chrome Apps / Extensions? 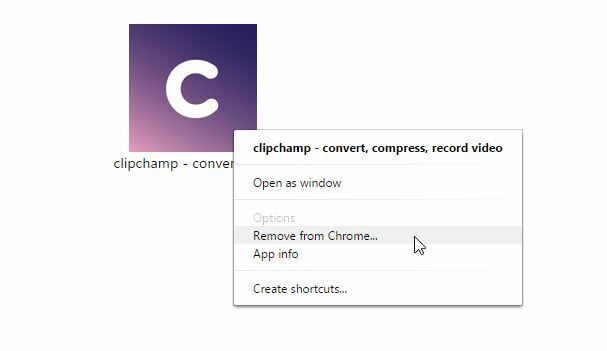 To remove the Clipchamp Chrome extension, go to chrome://settings by copying&pasting chrome://settings into your browser address bar, then scroll to the Clipchamp extension and click the "Remove from Chrome" button next to it. On that page, right-click on the Clipchamp icon and select "Remove from Chrome"
That's it, the link to Clipchamp is now removed from your Chrome Apps. 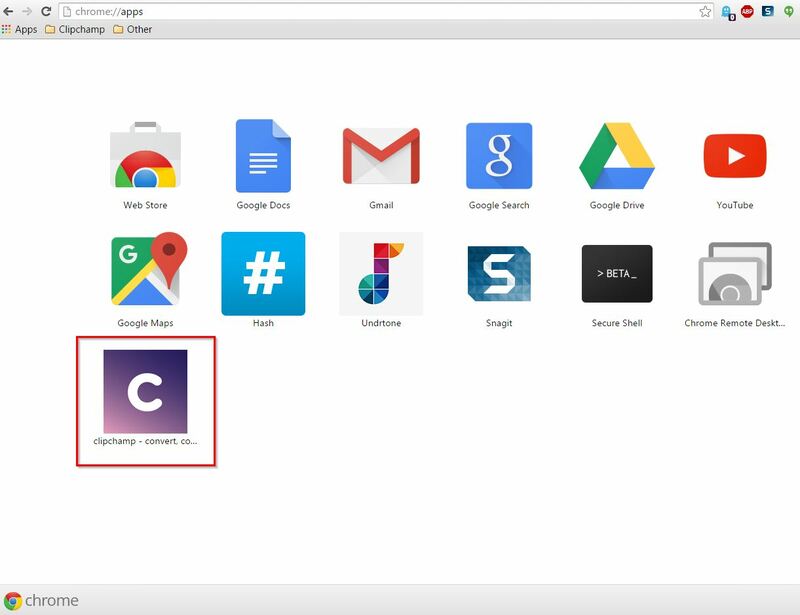 To remove the Clipchamp app from your Chromebook, open the Chromebook Launcher and click on the Clipchamp icon by tapping 2 fingers on your touchpad (which is the "right-mouse click" on Chromebooks), then select "Remove from Chrome" from the menu.